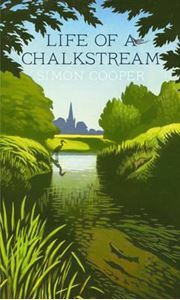 This delightful book records a year in the life of an essentially English waterscape, one that is home to a vast array of wildlife and natural habitat of the keen angler – the chalkstream. Simon Cooper grew up in Hampshire, where he first fell in love with fly fishing. Only after moving away did he realise how little people knew about the secret world of the chalkstreams. Chalkstreams are nearly exclusive to England, ranging from Dorset to Yorkshire and including the famous River Test in Hampshire. Every river is special in its own right. Life of a Chalkstream is a lyrical and revealing voyage through the yearly cycle of this unique waterway. From the remarkable spectacle of salmon, sea trout and brown trout spawning in winter, to the emergence of water voles in spring and the explosion of mayflies in the early days of summer, the author evocatively describes the natural wonders of the chalkstream. He introduces us to the fascinating diversity of life that inhabits its waters and environs – the fish, the angling community, the plant life and the wildlife. We learn how neglect threatens these inhabitants and why the fight to save the chalkstreams is so vital, not only for fishermen, but for anybody who values the beauty of rural England.